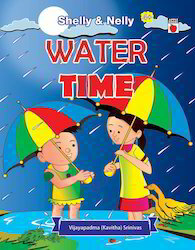 Exporter of a wide range of products which include the world around us with shelly and nelly fun with seasons and the world around us with shelly and nelly water time. 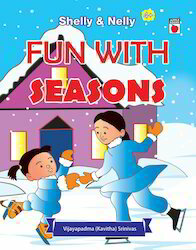 The World around Us with Shelly and Nelly Fun With Seasons book offered comes in 16 page finish and provides children teachings of different seasons. Covering varied subjects, these are delightfully illustrated series of books and gives children quality read time. Some of its features include appealing finish of book that makes it exciting read for younger children, encouraging kids to unleash their imaginations, makes kids eager to read and learn from it, knowledge & fun nicely combined to make it an interesting read. Looking for Shelly & Nelly Series ?